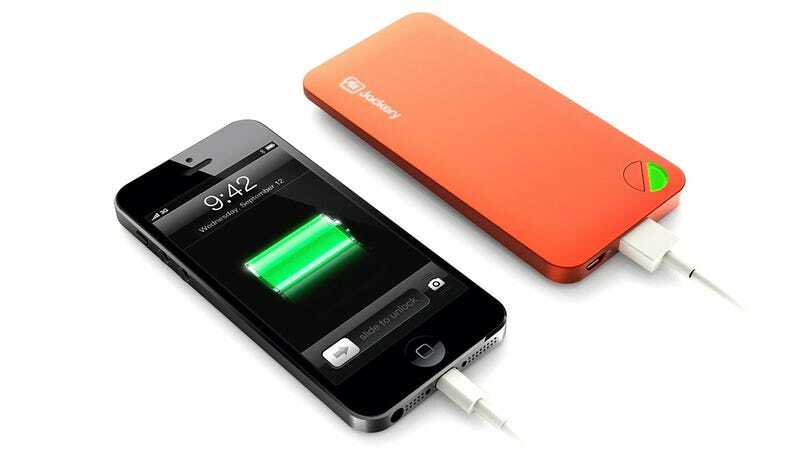 There are almost as many external battery pack options for your smartphone as there are cases, and given the multitude of options there are probably two important factors to seriously consider: capacity and design. And a leading contender for both these considerations is the new Jackery Air. The battery measures in at just slightly thicker than the iPhone 5, but its contoured housing and similarly-sized dimensions means it can slip in your pocket as easily as your phone. And while the Jackery Air's 5600mAh isn't the largest you can buy, it's certainly capacious enough given the backup battery's slim form factor.